Branding consultancy Consulus has launched an enterprise social network, offering companies the ability quickly share ideas and updates, and retrieve them with ease later on. To date, CastleUp is used in Singapore, Vietnam and Brunei. CastleUp discourages spam so that users will not be inundated by more information clutter. It does this by encouraging each new post to be categorised and users are required to tag their posts. The network also includes a ‘gaming’ element known as Castle Tokens, which is a score of how well users are interacting on CastleUp. It counts the volume of new posts a user makes as well as how other people react to it. The score is essentially an indicative value for colleagues to assess the usefulness of their sharing. Daily usage statistics also help company workers gain an insight into how the company shares and acts on information, which is the first step into understanding the communication flows within an organisation. CastleUp also serves as a dynamic organisational chart for users to connect within their departments and with colleagues from another department. Consulus developed CastleUp to be a safe environment for employees to connect with one another, without revealing too much about themselves through their personal social media accounts, a major concern of many companies. 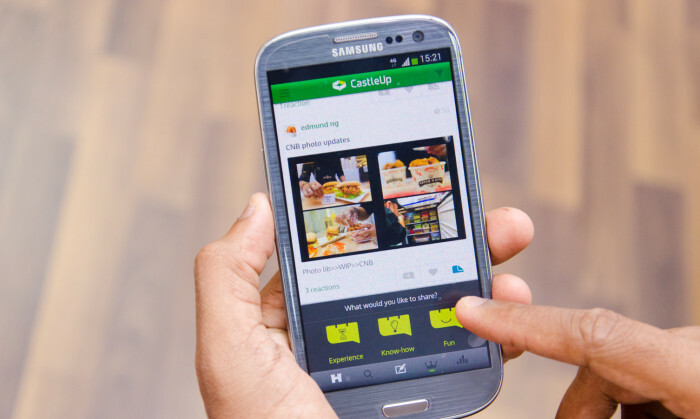 CastleUp is designed for use on any mobile device with access to an internet browser. The network is offered free, with added features such as deeper company insights and enterprise tools available for a fee. Plans to include a catalogue of programs and products from other consulting practices from different firms are slated for launch at the end of the year. The new entity will be led by John Stankey, who has been appointed CEO. ..
Kevin Johnson, president and CEO of Starbucks, added in a statement that leading a large company is "not just about profit", but a..
"As with every long-term working relationship, there comes a time where firms need a fresh voice and a change in directions," said..
With this out-of-the-box event concept, coupled with effective media placements, influencers garnered more than 40,000 engagements..